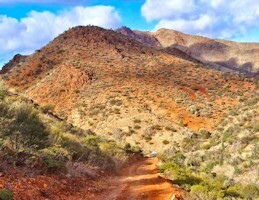 The Flinders Ranges are the most spectacular sights in South Australia. 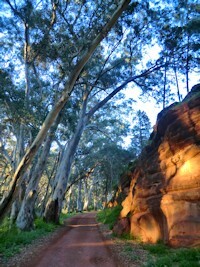 Running 400 km from the northern end of the Spencer Gulf into the arid outback of Australia. 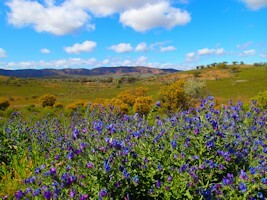 Explore Wilpena Pound and Arkaroola Sanctuary, two spectacular attractions on this fully guided tour. Experience Arkaroola on the famous Ridgetop Tour, watch the outback stars at the Observatory and discover the many layers of the ochre wall near by. 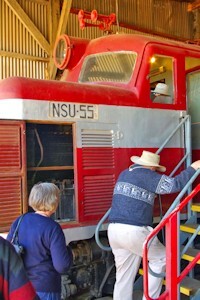 Hop on the Pich Richi Railway Train to Quorn and you can really get a feel for the timeless Flinders Ranges. Peterborough Steamtown is home to railway gauges and historic trains. 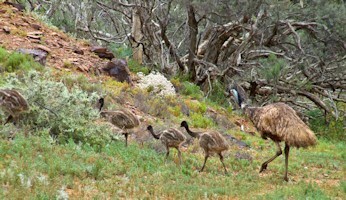 A guided tour is not to be missed before heading off to Burra another very interesting country town. Visit Clare Valley for a beautiful gourmet lunch and taste some of the beautiful wines on offer. Travel in small groups with a maximum of 17-20 passengers. This tour is suitable for all age groups. We offer shorter walks for seniors. Day 1 Depart Adelaide accommodation by 8 am and let us take you on a tour filled with wonder and delights of South Australia. 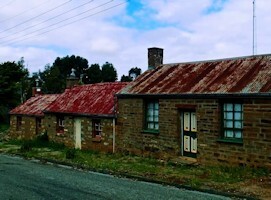 We start with a guided tour of the historic town of Burra. Hear all the great copper mining history and tales of locals long ago departed. A visit to the local goal, museum and mine site give you a fantastic insight of Burra town. Then it is onto Peterborough, one of only two places in the Southern Hemisphere where you can still see three railway gauges and where Australia's great steam era has been preserved. See the trains up close on a guided tour of Steamtown before a delightful restaurant meal. Day 2 After breakfast we take on the journey to the most ancient of lands - Arkaroola Wilderness Sanctuary. 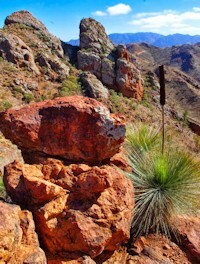 Arkaroola features rugged mountains, towering granite peaks, magnificent gorges take and mysterious waterholes. We drive past the western wall of the Flinders Ranges and stop in the old mining town of Leigh Creek. After a quick break we turn off the Outback Highway and follow the Vulkathunha Gammon Ranges Road deep into the Northern Flinders Ranges. Upon our arrival at Arkaroola Resort we settle into our rooms and join back for dinner and an Observatory Tour of the Southern Hemisphere night skies. 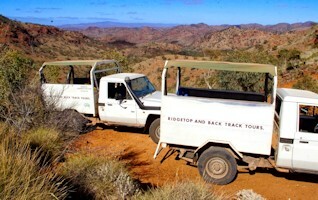 Day 3 Today we experience Arkaroola's world famous signature tour - the Ridgetop Tour. We travel in specially designed vehicles for an unforgettable encounter with the timeless terrain and unique natural beauty of the area with a 360 degree view at the top of the Ridgetop track. 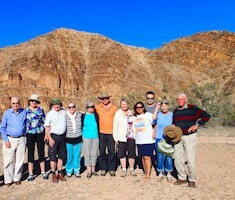 After lunch we head out to the impressive Ochre Wall and explore Arkaroola by foot. Look out for some of the 160 recorded bird species to the area or the various flora and fauna abundant at this time of the year. There is time for an optional scenic flight over Lake Frome or Arkaroola Sanctuar this afternoon. Day 5 The Flinders Ranges are home to some of the state's most fascinating natural attractions with Wilpena Pound being one of them. Today we will spend the full day discovering the rugged ranges and taking in the living culture of this region. We walk some of the many walking tracks. Plenty of photographic opportunities and great encounters with the wildlife. 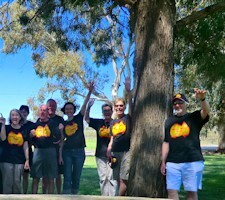 Day 6 A well-earned sleep in or a morning walk sees us departing by 10 am to traverse the Southern Flinders Ranges townships. W e pay a visit to the Wilpena Panorama Galle ry and view Wilpena superbly portrayed by local artist Jeff Morgan in Hawker. Our next stop takes us to Quorn with time for a discovery walk around the historic railway town. 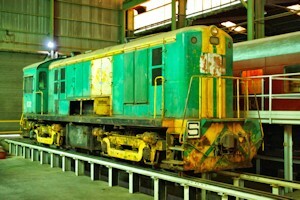 In the afternoon we step back in time with a train ride on the Afghan Express from Quorn to Port Augusta. Take a seat in the timber bodied carriages and enjoy the stunning views as we travel through the Pichi Richi Pass. Check into your room upon arrival in Port Augusta. We all join back for a final night dinner at Ian's Western Hotel . Day 7 Our last day has arrived and we take the scenic route back to Adelaide. We drive south through the country towns of Wilmington and Melrose. 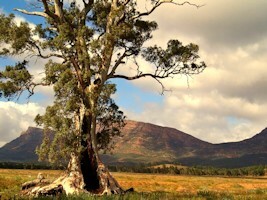 Have a walk around Melrose, the oldest town in the Flinders Ranges. For lunch we take you to the beautiful wine region of Clare Valley. Indulge in the delicious wines and gourmet lunch provided for us at Reillys Cellar Door. We are now on the home stretch to Adelaide and our magnificent Flinders Ranges Tour is coming to an end. Arrive back in Adelaide by 4pm.